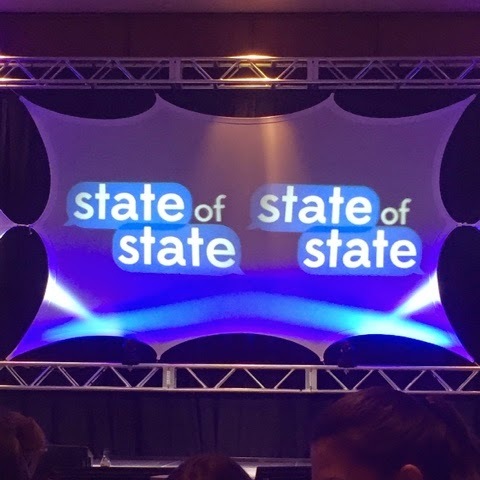 State of State // Last weekend, I had the pleasure of attending a conference put on by the students for the students and educators about the state of our school aptly named State of State. There were 4 main sections, each followed by a 20 minute discussion. The topics were very different in nature but so interesting to talk about with others. We talked about 4 main areas: engaged scholarship, mental health, sexual misconduct and the commonwealth campuses of Penn State. I really enjoyed speaking with my new friends and though there were tears, I found myself leaving with a changed perspective on Penn State and the issues unique to our school. Favorite Chocolate Bar // My mom sent me a Valentine's Day box with a bar of Hebert's Chocolate in Mint Chocolate Crunch! It is literally the best thing I've eaten all week (besides the Hint of Lime Tostitos I demolished) because it's like minty, chocolatey with such good crunch texture - it's like a cookie and those popped rice cereal bits at the same time. I cannot wait to try different bars by the company! Current Nail Polish // I currently have my nails painted a dark red with a ton of sparkles and I am digging it. Unfortunately, the polish my mom sent me is sold out most places but it's from the Fergie line for NYC. Newest Frito Lay Product // Tostitos Rolls - they are like rolled up chips that are perfect for dipping into hummus or anything really creamy. I also like them plain, I eat them like pretzel sticks!